My cousin Ashley has officially walked down the aisle, and I have officially served as a maid of honor. Most of you have read along as we conquered the bridal party and bachelorette gathering. And since most of you attended the wedding, I’m not going to run down every little part. Instead, I’m going to tell you what you didn’t know from attending. This is the behind-the-scenes recap of the weekend’s festivities. No. 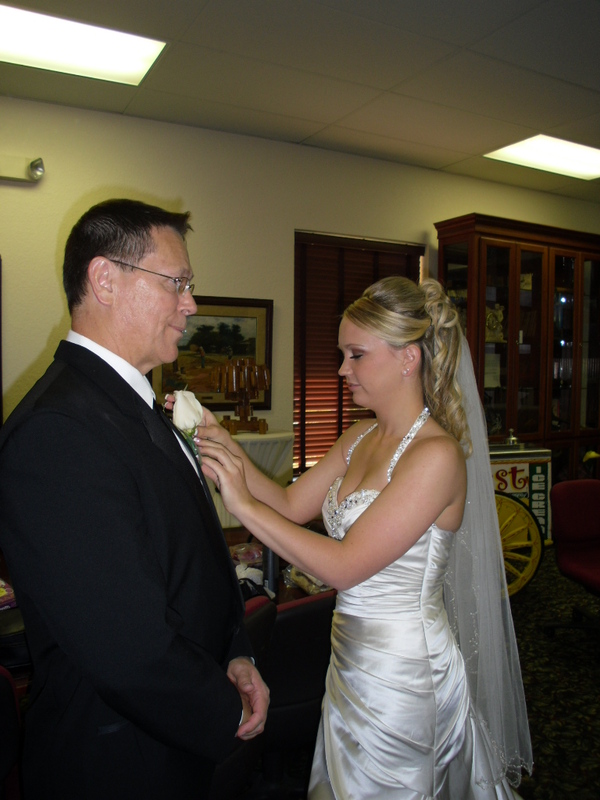 1: Where’s the Marriage Certificate … So, Ashley learned you can’t get married without your marriage certificate. 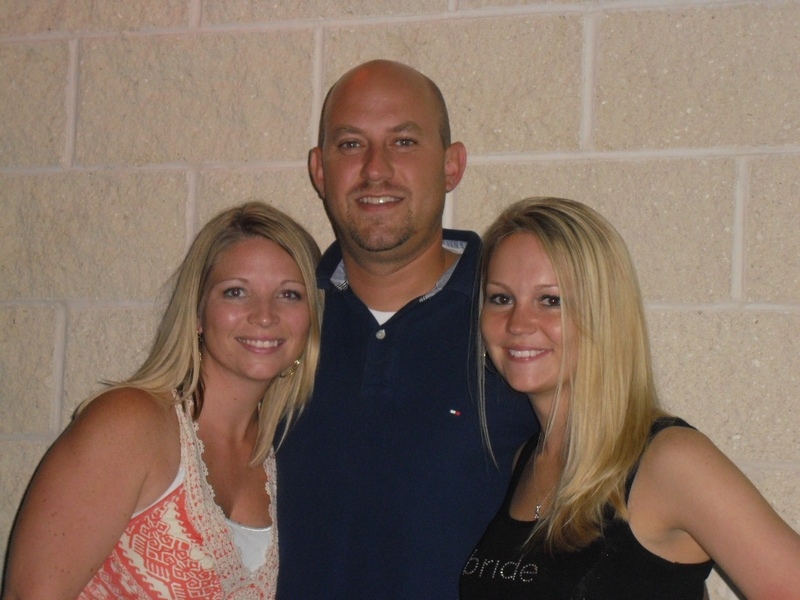 When the bride and groom showed up without it at the rehearsal, they were sent home on a scavenger hunt. As Ashley destroyed her apartment, she found the certificate in an unlikely place: under a huge case of bottled water. But, she found it and arrived back to the rehearsal in time to do two run-throughs. No. 2: I’m No Martha Stewart … I made Ashley’s fake bouquet with ribbons from her bridal shower. Well, as everyone found out, I’m no Martha Stewart. As Ashley and Randy rehearsed, ribbons fell right off the paper plate holding them. I monkeyed around with it for a while before throwing in the towel. At least it looked pretty when we arrived! No. 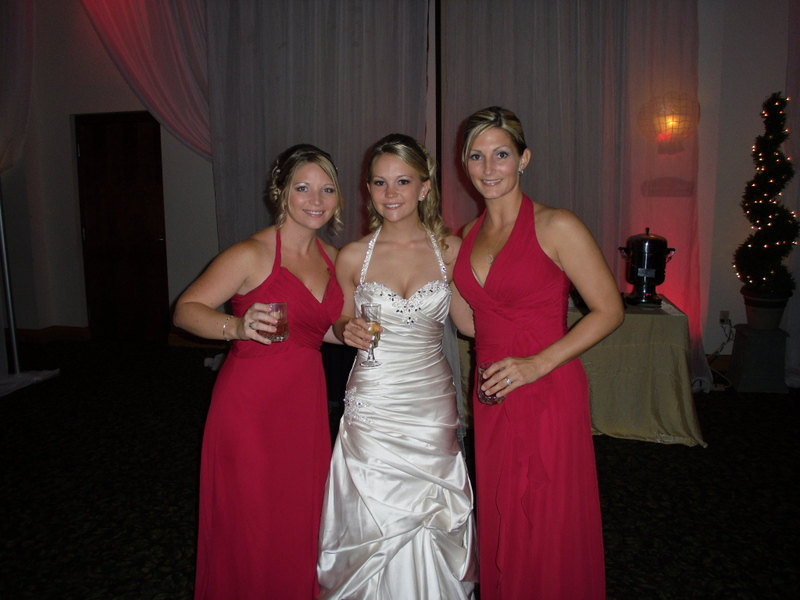 3: We Love Our Gift Bags … the bridal party received from nice loot from being a part of Ashley and Randy’s big day. Bridesmaids received cozy slippers, chocolate, popcorn, a bottle of wine (Ashley’s favorite kind) and the movie “Bridesmaids.” It was all in bags with our names on them! Sounds like a perfect Saturday night recovery bag. The guys got a nice engraved flask with a bottle of liquor. It was so thoughtful! No. 4: Surprise, There is a Limo … Ashley had no idea that a limo was picking us up at her mom’s house and take us to the venue. We put Bryan to work, making him change the radio stations each time a commercial came on. We took a lot of photos, and Kaylee loved it as well. It was a fun time! No. 5: Google Comes in Handy … So, you never know when you might need to consult Google for a little added direction. 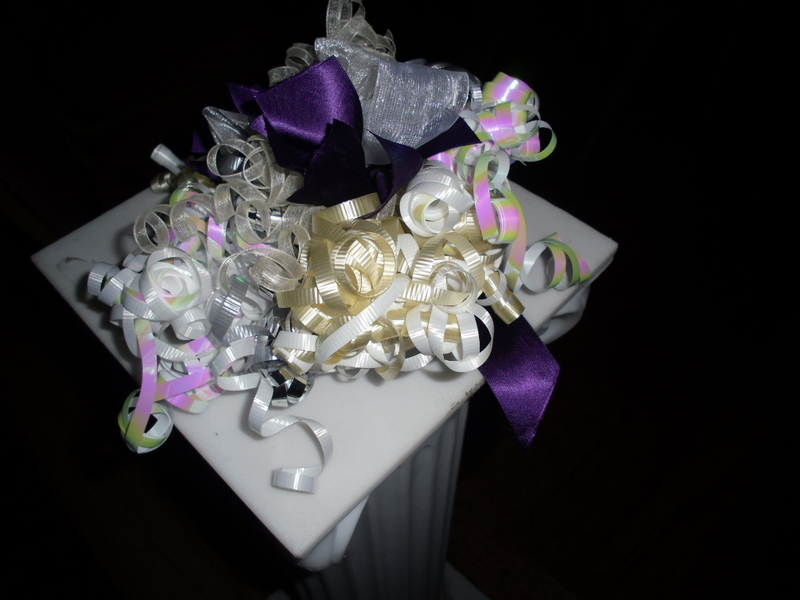 That was the case when we didn’t know which side you pin the flowers for a corsage and for a boutonniere. 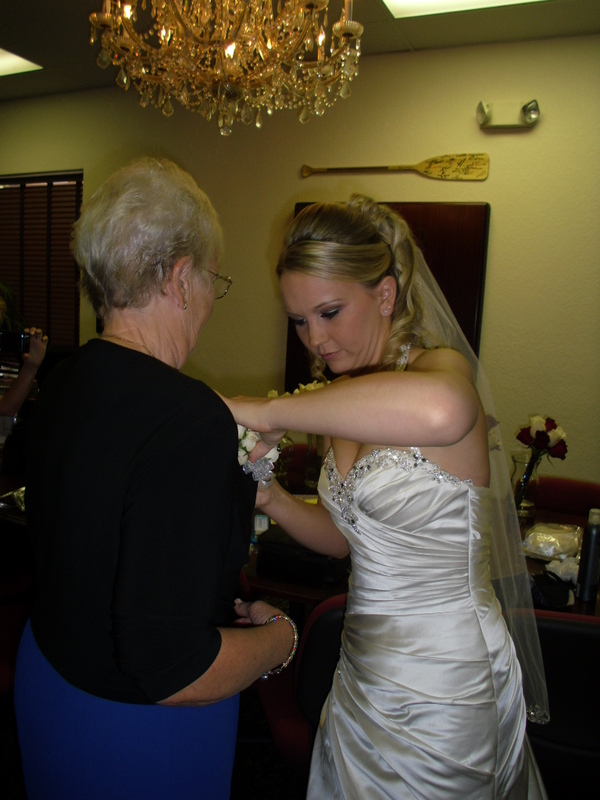 Thank god Google knows and was able to advise us as Ashley pinned flowers on our grandmother’s jacket. No. 6: Oh Say Can You See … Everyone can get a little emotional at a wedding. And that certainly happened with the bride’s father saw her for the first time. But, the bride had a trick up her sleeve. She heard if you sing the Star Spangled Banner in your head, it keeps you from crying. Needless to say, we were all singing by the end of the night. No. 7: Speeches Are Hard … As MOH, there came a time when I had to stand up to give my speech. Man, that was so much harder than I thought it would be. I managed to make people laugh and cry during mine … which I think means that it went really well. It was my few minutes to tell the bride how amazing she is, how happy I am to have so many wonderful memories with her, and how I can’t imagine my life without her. It was also my time to tell her how happy I was for her. I certainly got choked up! Now, if only I would have remembered that nifty trick. No. 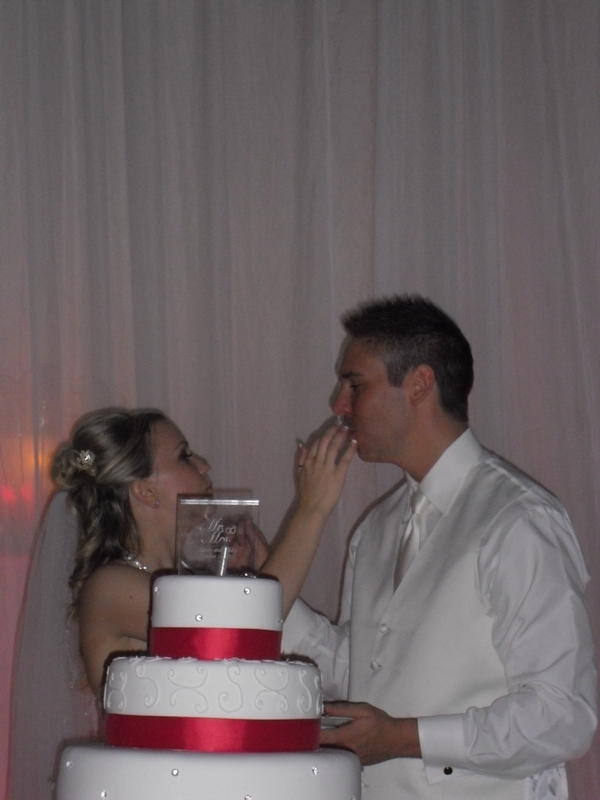 8: That Cake-Topper Is Heavy … The cake cutting went without a hitch. But what you don’t know (and I don’t think the bride knows this either) is that the cake vendor was having a terrible time getting the topper to stay put. It kept falling over while we were setting up for the wedding. My sister and I were standing by when it toppled off at one point. With the bride far away, I alerted the bride’s mom, who quickly got it handled. Way to go, Debbie! No. 9: I Almost Had a Janet Jackson Moment … Yes, it is true. The top of my dress was nearly ripped off by the end of the reception. First, it started to break when I picked up Madison and walked her down the aisle. Then, as I was dancing my little tail feather off, it ripped again. Luckily, Tammy had a handy safety-pin and I managed to keep everything held together. No. 10: Bring on the After-Party … Bar Orlando hosted one amazing happy hour after the event. With tequila flowing and a steady amount of guests, this party kept going til 4 a.m. We were quite the party animals! And that’s life in a nutshell … Being Ashley’s maid of honor was certainly an HONOR and I’ll cherish the memories of that night for the rest of my life. 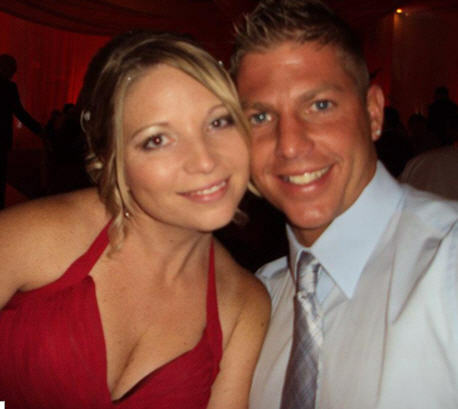 Congrats again to Ashley and Randy. I love you!